Uvaggio, an Italian word meaning “a blend of grapes,” is an appropriate name for Woodland’s brand new, and first-ever, wine bar. 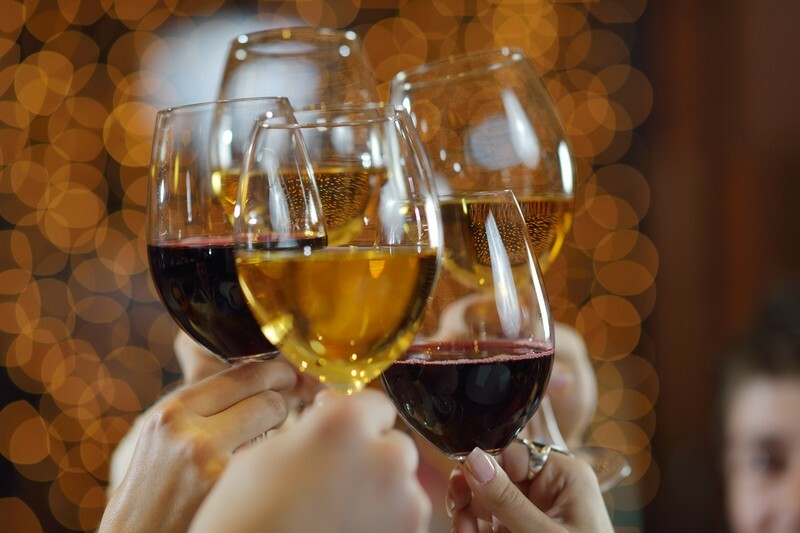 It’s the perfect blend: a great location, comfortable atmosphere and delicious menu of local wines and bites. It’s at 703 Main Street, facing Heritage Plaza and the Woodland Opera House, in the heart of the revitalized historic downtown. Owners Andrew Linden and Jennifer Schroeder showcase strictly Northern California wines and products, with a seasonal, rotating menu of snacks and treats. Besides some heavy hitters from Napa and Sonoma, many of the wines come from nine Yolo County vintners, including Route 3, Matchbook, Bogle, and Capay Valley Vineyards. The menu features a diverse selection of red wines, whites, dessert wines, and California Sparkling. Small plates feature local bread, cheese, charcuterie, preserves, nuts, fruits, olives, olive oils and popcorn. Desserts include truffles and cheesecake. There are flights of wines and food pairings, plus some local craft beer and hard cider. The owners, friends and former roommates, kept their day jobs when they opened Uvaggio. The bar’s evening and weekend hours fill up the rest of their free time. Linden, who manages the bar, has a sales position at Interstate Oil Company in town. He’s a wine expert, and even makes his own at home. Schroeder, a newlywed as of December 5, manages food and events, and works weekdays at a local church. She’s a graduate of Le Condon Bleu College of Culinary Arts, and has experience in the food and beverage industry. Upcoming events on Schroeder’s calendar include a New Year’s Eve Soiree, a monthly pub quiz at 7 p.m. on the first Thursday of every month, and plans for a rosé festival in the summer. Uvaggio’s centerpiece is the bar itself ¬: U-shaped with wine-barrel-like base and a glass mosaic counter top. A leather couch and other small tables make the space welcoming. The owners will add an outdoor patio in early 2016. Watch for a wine club membership next year as well. 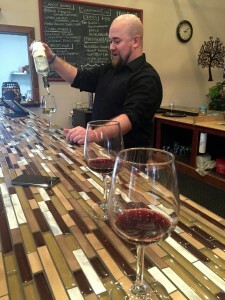 Supervisor Brandon Lytle pours a glass of white wine for a customer. Whether you know what you want, or prefer to try something new, staff members love to educate people about local wines, and help them discover their palate. “I can find a wine for just about anyone,” Linden said, noting that he can’t just recommend his favorites, because everyone’s tastes are different. Uvaggio’s biggest seller this winter is a Tempranillo from Turkovich Family Wines in Winters, at $7 a glass. Linden explained that Yolo County’s rich soils and warm, dry climate are ideal for the hearty red grape, making the wine some of the best in the world for that varietal.